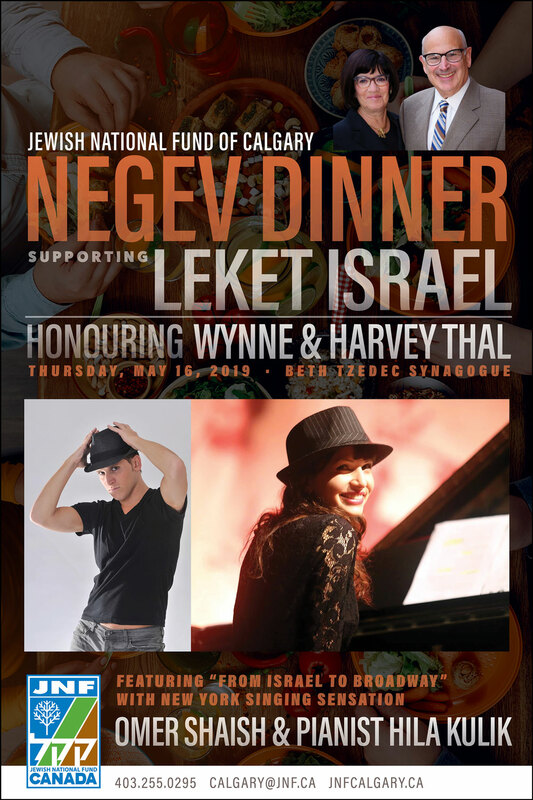 The 2019 Negev Dinner is supporting Leket Israel. Leket Israel is the largest food bank in Israel, and has been a leader and an expert in food rescue and distribution to needy people nationwide. At the core of Leket Israel’s transformative work is the complex logistical operation of sourcing, collecting, and transporting surplus food to where it is needed. Stringent food safety standards and Ministry of Health guidelines are maintained throughout the process. With Leket’s fleet of 20 trucks and vans, their staff and volunteers transport each week hundreds of tons of rescued food throughout the country to feed approximately 175,000 Israelis in need, regardless of age, gender, religion, or ethnic background. Omer Shaish graduated from The American Musical and Dramatic Academy in NYC. His theater credits include the Radio City Christmas Spectacular (Radio City, NYC), The VocaPeople (New World Stages, NYC) the US National Tour of Seussical, and the Israeli National Premier of Spring Awakening. Omer was also featured as a soloist at the Celebrity Fight Night (Florence, Italy), featuring Andrea Bocelli, George Clooney and Lionel Richie. Omer currently tours around the world as a lead singer in the classical vocal trio Kol Esperanza, as well as his one man show My Broadway Shpiel. 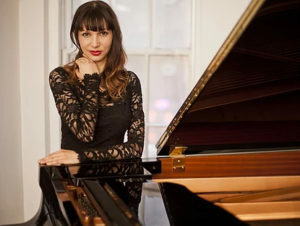 Hila Kulik graduated from the Master program at the Aaron Copland School of Music at Queens College. During the last decade, Hila has performed with some of the greatest jazz musicians in Israel and abroad, including vocalist Cyrille Aimee (France), saxophonist Antonio Hart (USA) and more. She has performed in many prestigious festivals in Israel and abroad including the Red Sea international Jazz Festival in Eilat (Israel), the Northwest Jazz Festival, the “Hot Jazz Concerts” in Israel and more. Currently, Hila perform with her own band, and well established jazz musicians in New York and abroad. FOUNDATION PROJECTS ARE DEDICATED GIFTS TO LEKET ISRAEL. FOUNDATION SPONSORS WILL HAVE THEIR NAMES INSCRIBED IN PERPETUITY ON A PLAQUE AT THE NEW PRODUCTION FACILITY AT RAANANA, ISRAEL EACH FOUNDATION DONOR WILL BE ACKNOWLEDGED IN THE DINNER TRIBUTE BOOK. Foundation Projects may be paid in one lump sum or over time to a maximum of 3 years and are fully tax receipted. Dinner tickets must be purchased separately at a special price. If you are unable to attend our 2019 Negev Dinner, please consider making a donation towards Leket Israel.